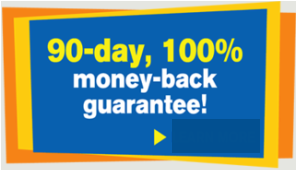 90 Day, 100% Money Back Guarantee! ​Customers who purchase Life Force product(s) and use them for a reasonable amount of time, and are not completely satisfied, shall receive a 100% refund or replacement, less shipping and handling costs when product(s) are returned either used or unused and received by LFI within 90 days of purchase date. Returns exceeding 90 days of the purchase date will not be honored, whether the product(s) are sealed or opened. Return shipping fees are the responsibility of the Customer. Proof of purchase (invoice, copy of invoice, or invoice number) is required for all refunds and replacements.